Are your countertops old enough to begin sentences with, “back in my day?” Here are seven quick upgrades to bring your countertops into the 21st century — without spending a small fortune on a remodel. 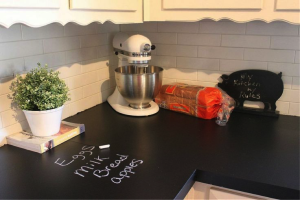 Chalk paint lets you scribble directly onto your countertops — which is perfect for the brooding writer or habitual list-maker. Also, chalk paint is black. So, even if you’re not a doodler, you’ll have some classy-looking counters. 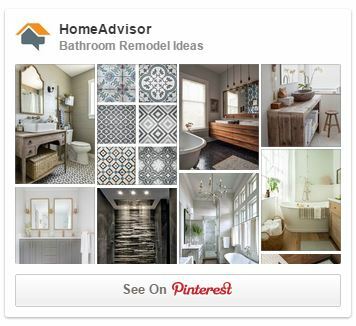 Do you like the farmhouse look but lack the budget for an all-out remodel? Not to worry. 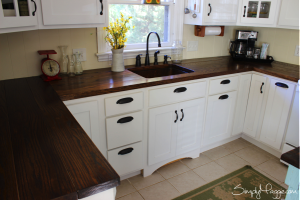 A little elbow grease and carpentry know-how (nothing that isn’t just a search engine away) will land magazine-quality countertops in your kitchen in no time. 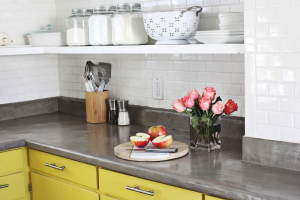 Is your kitchen or bathroom suffering from sleazy countertops left over from a bygone era — like maybe the pastel plague of the 1990s? If so, don’t feel the need to spend thousands on a remodel. 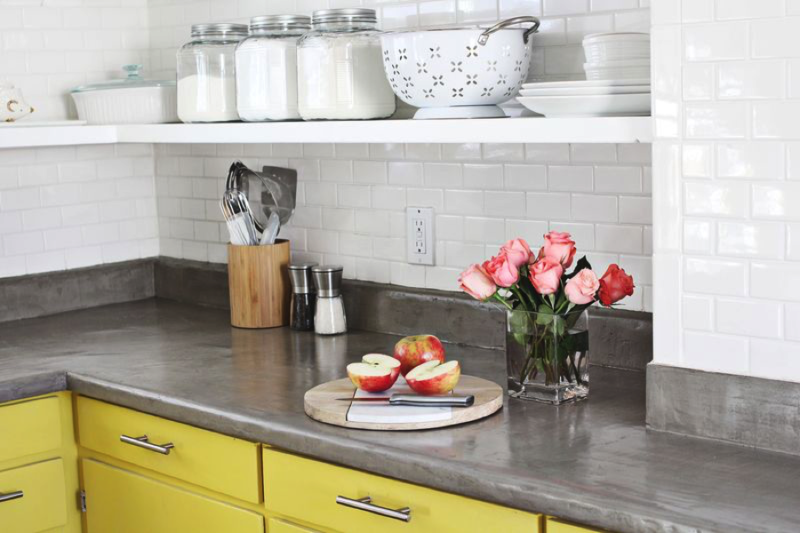 Instead, repaint your questionable counters with a modern, refreshing color. P.S. Use an acrylic primer and enamel-based paint for your older countertops. Loose change is similar to old laminate: It’s everywhere and it’s always annoying. Fortunately, a penny countertop eliminates both problems. 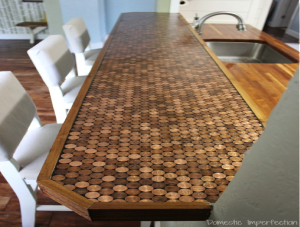 While a penny countertop might not work with a high-end, ultra-modern design, it’s great for bars or other small holdouts of old laminate. Have a little time? Have a little paint? 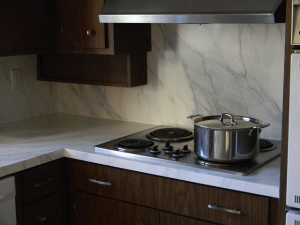 Then you can have the look of marble countertops. 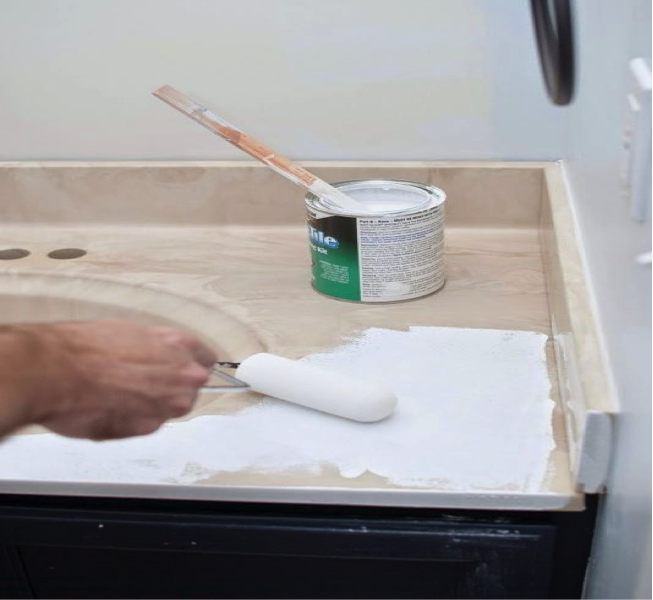 Channel your inner artist and paint your tired, old laminate to look like envy-inducing marble. The Joy of Painting? More like The Joy of Saving. Are you a master mold maker familiar with the intricacies and quirks of concrete? 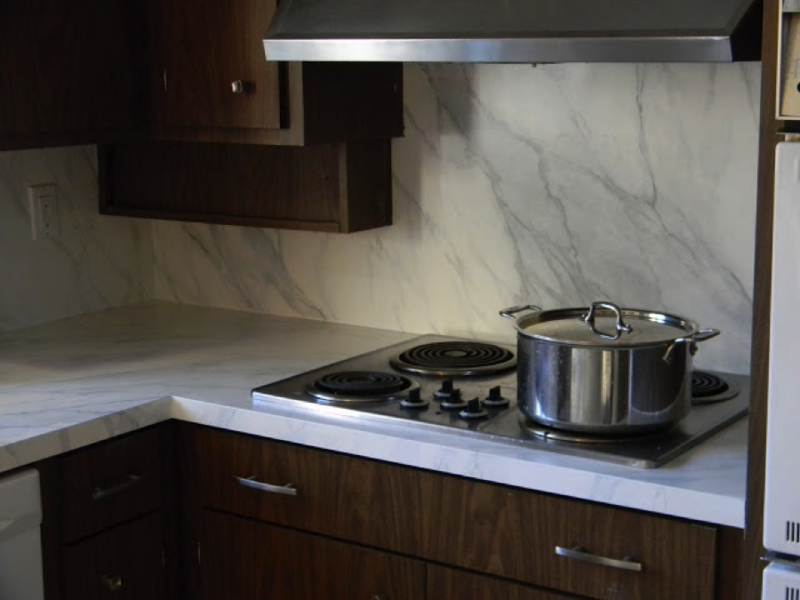 If not, casting your own countertops can end horribly — like wasting thousands of dollars horribly. Fortunately, products like Ardex allow you to get the look of concrete without removing your countertops (or deducting a few zeros from your bank account).